Two anthems of the civil rights movement were released within days of each other, in the dying weeks of 2014. 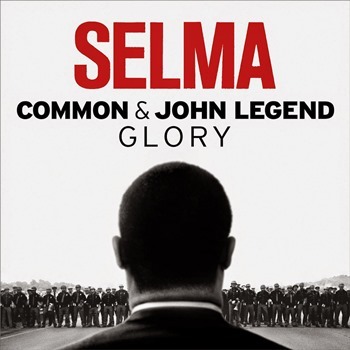 John Legend and Common wrote “Glory” for the civil rights film “Selma.” As the third track on D’Angelo’s long-delayed third album, “The Charade” was released with less fanfare but greater anticipation. More importantly, after being shunted to the underground for more than a decade, protest music has reemerged in the mainstream. Both “Glory” and “The Charade” were performed on national, network television in February. On paper, “Glory” almost looks too obvious. 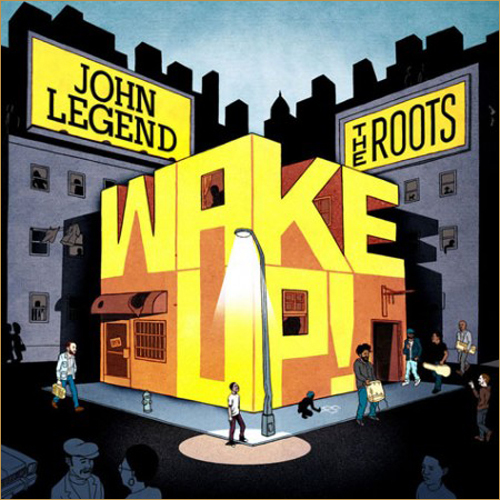 John Legend recorded an entire album of R&B protest songs with The Roots in 2010 (with Common guesting on the lead single). Common’s history of uplifting poetry has earned him invitations to perform at the White House and guest spots from Maya Angelou and the Last Poets on his albums. “Glory” isn’t the first time Common has invoked Martin Luther King for a film. In 2006, he collaborated with Will.I.Am an end-credits anthem for the movie “The Freedom Writers” that sampled King’s “I Have A Dream” speech. It is clear from the opening gospel chords, that “Glory” is a celebration. It doesn’t challenge the listener like Common’s “Song for Asatta” or Legend’s version of “I Can’t Write Left Handed.” It something we can all feel good about while listening. That may sound like an insult, but it’s not. The civil rights movement brought out the worst in our society, and anyone who weathered that storm, or had a loved one who did, deserves a moment to catch their breath, smile and feel proud. Like most of the songs on “Black Messiah,” “The Charade” doesn’t announce its presence as much as slink into being. D’Angelo’s lyrics are tough to decipher on the first listen, demanding repeated listens and close attention. “Glory” has a gospel choir; “The Charade” has multi-tracked vocals. The difference between the songs is even more stark in performance. On “Saturday Night Live” D’Angelo and his band dressed in all black, with a chalk outline behind the singer on the floor. Backing vocalists wore shirts stating “I Can’t Breath” and “Black Lives Matter.” D’Angelo wore a hoodie, his face hidden in the shadows. The blistering delivery was a gauntlet – ignore this, America. Driving the point home, the ensemble raised fists in the air over the dying notes, summoning images of John Carlos and Tommie Smith at the 1968 Olympics. Less than two weeks later, Common and Legend were tapped to close the Grammys. Backed by an orchestra and a gospel choir, everyone wore suits and was clean-shaven. The production dovetailed with Beyonce’s stirring version of “Take My Hand, Precious Lord,” King’s favorite song. The performance was moving, but if “Glory” didn’t feel as powerful as “The Charade” on “SNL,” it might be because it felt more safe. Year-end, Top 10 lists are everywhere. Only The Daily Record presents its favorite records in haiku. Enjoy. for nonstop party. Like it? block Andre, but can’t stop fun. When the rapper Nas and reggae artist Damian Marley, youngest son of Bob Marley, first teamed up five years ago, the result was solid, but not spectacular. “Road to Zion” was a typical mash-up with Nas dropping a verse into the pocket of a mostly completed composition. There was little interaction between the two. The “rhythm piranhas” – as Marley dubs the duo – started toying with the idea of producing an EP to benefit school in Africa back in 2008, but the project grew as it progressed. Predictably, the lyrics find both vocalists working in a political vein, which is not a radical departure for either. Although “Distant Relatives” celebrates Africa, the only musician from the continent to appear on the record in person is K’naan, who blesses two tracks. The reset of the album captures the energy and rhythm of the motherland through samples that include Ethiopian jazz, Angolan singing and the Malian couple Amadou and Miriam. And while the pulse is definitely (defiantly?) African, the concrete jungle of Marley’s Jamaica and Nas’ New York are never far. The only time the third world spell is broken comes on the song “My Generation.” Lil Wayne’s appearance on the track is passable, but feels like a ponderous attempt at mainstream radio play. The most egregious offender, however, is Joss Stone, ruins a decent production with an over-the-top delivery that seems to parody an American Idol wannabe. Despite the title, the worlds of rap and reggae aren’t really that distant. Afrika Bambaata and Run-DMC dipped into the reggae in rap’s first decade. KRS-One later incorporated reggae into his 1987 hit “The Bridge is Over,” which famously dissed Nas’ home borough. The decade would also find KRS-One collaborating with Sly and Robbie and Shabba Ranks. Likewise, Marley is no stranger to hip hop. His raspy voice has always worked better in a spoken cadence than in his limited singing range. Both of his major-label albums bounce with an urban beat. “Welcome to Jamrock,” the Grammy-winning album that fostered his meeting with Nas, also featured a track with The Roots MC Black Thought. In addition, Marley’s brother Stephen Marley, who produced two of the cuts on “Distant Strangers” oversaw a remix album of his father’s songs that featured The Roots, Chuck D of Public Enemy, Guru and former Fugee Lauryn Hill, who is married to Rohan Marley, another of Bob Marley’s sons. 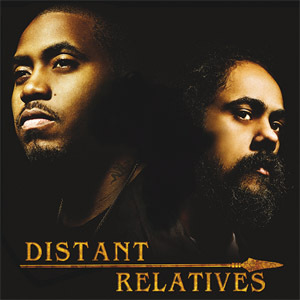 “Distant Relatives” flattens this musical landscape. It is an ambitious project with global aims, not only musically, but lyrically, dealing with humanity, morality and messy nuances of emotion like greed and humility that can easily come across as clichés or preaching. Few artists have the vision to imagine a project of such scope, let alone pull it off. Marley and Nas teamed up because they wanted to respond to the disasters in Haiti, Somalia and Darfur. Their intentions should be appreciated. The results should be celebrated. Trumpet player Hermon Mehari of Diverse kept a copy of Common’s landmark hip hop album “Like Water for Chocolate” in his car for two years, but it wasn’t until he saw Les Izmore at the Czar Bar in January that he knew what he wanted to do with it. The idea was as ambitious as the album Mehari wanted to celebrate: to combine the jazz chops of Diverse with Izmore’s hip hop style. Both outfits are staples of the local music scenes that rarely overlap. Izmore frequently performs both on his own and with the Afro-beat collective Hearts of Darkness. Diverse made a big splash on the jazz scene when Bobby Watson unveiled the combo in 2008. They kept the momentum alive with a self-titled debut the following year and several high-profile shows and collaborations. By “all of that” Mehari means Common, Black Star, the Roots and the other members of the late-‘90s New Native Tongues movement in hip hop. The low-key faction turned their backs on the hard, gangsta stance of the moment to focus on socially conscious lyrics backed with soulful or jazz-influenced production. 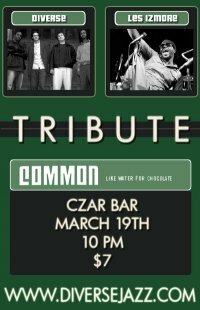 On Friday, March 19, Izmore and Diverse will collaborate and celebrate the 10th anniversary of “Like Water For Chocolate” at the Czar Bar. The “Like Water for Chocolate” roster also includes jazz trumpet player Roy Hargrove, rappers Mos Def and Slum Village, DJ Premier, Black Thought, Rahzel and Questlove from the Roots, soul singers D’Angelo, Macy Gray and Bilal and future Gnarls Barkley singer Cee-Lo. Producer James Yancey, or J Dilla, a longtime friend of Common’s who had worked with A Tribe Called Quest, tied all the elements together. In keeping with the spirit of the album, Izmore and Diverse will have a few friends on hand to help them out as well. Hearts of Darkness singer Brandy Gordon will take on all the female vocal parts, and Lee Langston will stand in for D’Angelo, Bilal and Cee-Lo. Local MCs Reach and Vertigone also help out. As an MC who grew up with the album, Izmore said he needed little preparation for the show. Diverse had the tougher job translating and arranging the record’s sounds and textures. Izmore and Diverse worked out their parts separately, then rehearsed together in the weeks leading up to the performance. Mehari said he was pleasantly surprised by the reaction in the jazz community. With its socially conscious poetry, innovative rhythms and intricate rhymes, Mehari said “Like Water For Chocolate” forced him to grow as an artist. Now he’s hoping to use the album to expand the horizon’s of Kansas City’s music community. Onstage, Professor Griff, minister of information for the veteran rap group Public Enemy, rarely smiles. Griff rarely takes center stage, but sets the tone of the show by marshalling the S1Ws, Public Enemy’s uniformed faux-security force, through their militant dance steps. Offstage, Griff may not be mistaken for Flavor Flav, the group’s much-lampooned comedic foil-turned-reality TV star, but he is far from the grim-faced drill sergeant he appears. In fact, right now he is laughing. The lengthy first chapter covers the most controversial part of Griff’s career, when he was kicked out of Public Enemy for being quoted making anti-Semitic statements in the Washington Times. Although that rough experience is the lynchpin of the book, another hardship brought the manuscript to fruition. Griff laughs again remembering how Run-DMC’s DJ Jam Master Jay and Def Jam label co-founder Rick Rubin’s original plan for Public Enemy. “Everyone else” is the groundbreaking production unit known as the Bomb Squad and the group’s DJ, Terminator X. Public Enemy is nearing its 25th anniversary, but Griff, Chuck and company are still intent on bringing the noise. After leaving Def Jam, the band is financing their new album through SellABand. By purchasing $25 shares, fans can help the band reach its goal of $250,000 and get everything from a mention in the liner notes, to profit sharing and input on the final product. “If I lent you my iPod for one day, you’d probably say ‘What the hell?’ The first thing you’d notice is I have a large music collection – easy listening, rock, soulful stuff. When it comes to my hip hop playlist, you’ll see Rage Against the Machine, the Roots, Immortal Technique, Wize Intelligent, Dead Prez, KRS-One – because I’m still learning from him – and the new Can-I-Bus. There’s no Nelly, no Snoop Dogg and nothing produced by Jermaine Dupri. In 1958, Danny and the Juniors sang “Rock and Roll is Here to Stay.” Although the genre was only seven years removed from the its birth on the “Rocket 88” single and three years from its explosion into the mainstream with Elvis Presley, Danny White was right. Sixty years later, it is hard to imagine American culture without rock and roll. It is also hard to imagine what the malt-shop teens and leather jacket hoods of the Eisenhower administration would have thought about auto-tune, power pop and nu-metal. Although the seeds of today’s rock were planted in the 1950s, the resulting flora has blossomed into hybrids that bear little resemblance to the original crop. Picture how different today’s musical landscape would be if anything that varied from the pre-British Invasion strains of rock and roll were bastardized. If songs bearing the touch of John Lennon and Paul McCartney or Mick Jagger and Keith Richards were decried as impure for straying from the “true” roots of Chuck Berry and Buddy Holly. Or if anything after the summer of punk and the rise of synthesizers was kept at arm’s length and segregated from the great Rock Cannon. Would we expect our children to dig out old Bill Haley and Beach Boys albums if this were the case? Teach them “Fun Fun Fun” and “Maybelline” as historical exercises? Of course not. They would shrug, pay us lip service and invent their own confounding strain of music. The ties to existing music would be obvious – nothing emerges in a vacuum – but nothing we couldn’t dismiss as the impure follies of youth. Why, then, do we place the same parameters around jazz and feign surprise with then inevitable occurs? It seems every year a new study comes out showing the median age of jazz listeners climbs while attendance drops. The latest is a National Endowment for the Arts Survey of Public Participation in the Arts conducted through the U.S. Census Bureau. Predictably, the self-appointed Guardians of Jazz like Wall Street Journal columnist and former Kansas City resident Terry Teachout are freaking out. But all this hand-wringing is like an ordinary bicycle enthusiast fretting while the chain-driven model populates the streets. The vehicle is still very much alive, it’s just been modified and influenced by culture. Too many jazz museums and concert curators suffer from WWWS: What would Wynton say. Would Wynton Marsails, the genre’s most prominent performer and steadfast caretaker, approve of their exhibit or event? While Marsalis is a talent trumpet player who deserves every bit of his fame and credit for bringing jazz to the masses, he is conservative and traditionalist to a fault. Museum directors and concert promoters should be following their own muse and vision, not looking to someone as restrictive as Marsalis for tacit endorsement. If directors and promoters must get the thumbs-up from a Marsalis, could it please be Branford? Although a lesser celebrity, the tenor saxophone player and older brother of Wynton has equally distinguished jazz pedigree. He’s also allowed jazz to grow, branching into pop with Sting, serving as musical director for the Tonight Show and working with hip hop artists. If the stodgy stylistic caretakers turned up their noses when jazz artists, the highest pedigree of musicians, started dabbling in rock and funk, they have completely ignored most jazz performers slumming with rappers in a genre oft-maligned for possessing the lowest level of musicianship. The elitists are missing the point. At their best, jazz and hip hop are better together than chocolate and peanut better. The improvisational aspect of jazz fits the free-flowing poetry delivered by a great MC. The swing of the instruments matches the swagger of the beats. Dig the way DJ Logic’s turntable work complements Medeski, Martin and Wood’s “Combustication” album, how Mos Def and Q-Tip’s rhymes soar over Ron Carter’s live basslines, or how Roy Hargrove’s trumpet pushes and accentuates Common’s poetry. Teachout and Wynton Marsalis’ simplified stances ignore the long history of jazz in popular culture. The enduring standard “Someday My Prince Will Come,” was plucked from Disney’s “Snow White and the Seven Dwarfs.” Although both Dave Brubeck and Louis Armstrong released albums of Disney material, it is doubtful Wynton Marsalis would record a song from a children’s cartoon. The Chicken Little jazz forecasts don’t show that jazz is less popular or interesting today. The news they bring is even more disturbing: hard evidence that the standard-bearers of the genre are increasing ignorant to how their beloved music has grown, changed and been embraced. They’re the ones missing the party, but don’t worry – their numbers are dwindling.